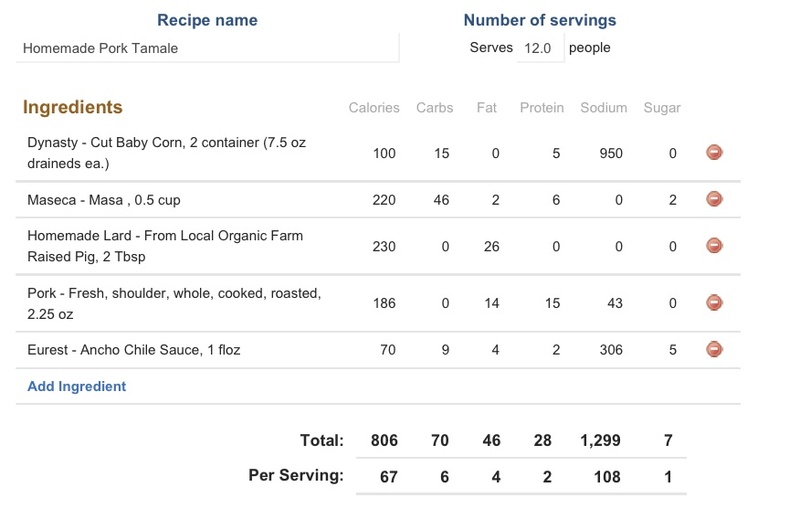 What makes this recipe lower carb is the fact that I will be using baby corn instead of hominy to make the dough. 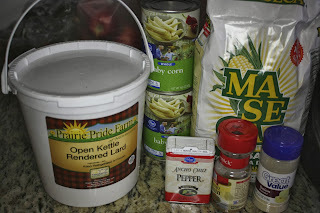 Hominy has long been used as the agent to ensure the dough stays moist, but baby corn is much lower in carbohydrates so I can make a dough with lower net carbs and still moist and tender while using whole natural foods. 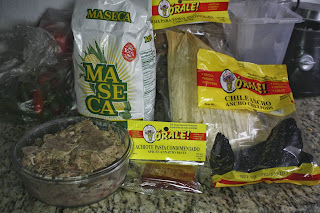 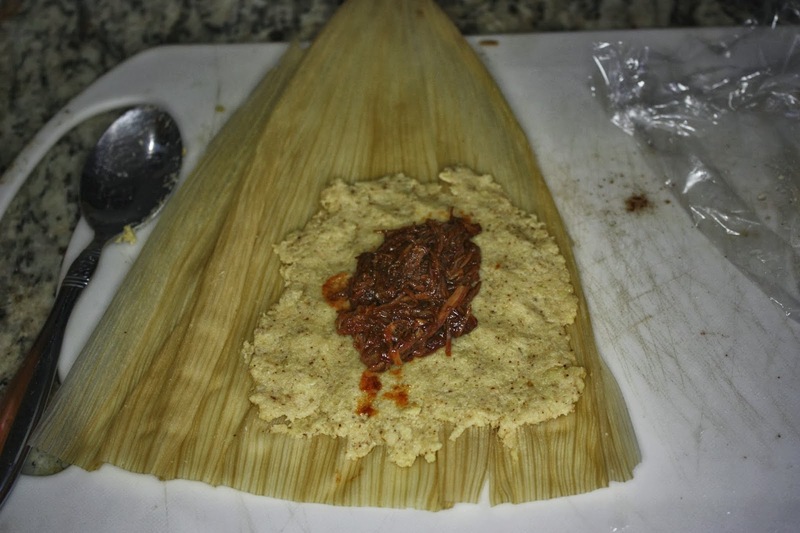 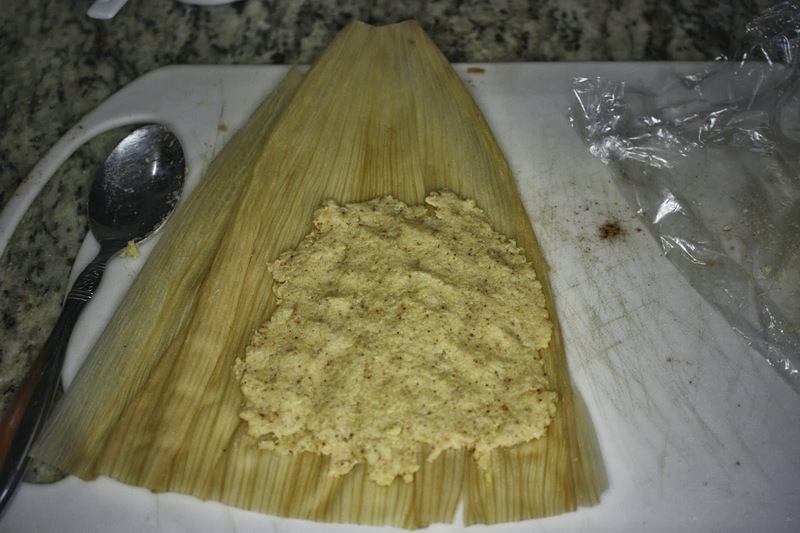 I still use the traditional masa harina flour, as for 12 tamales it doesn't require more than half a cup, if you wanted even lower carbs you could substitute the masa for coconut flour but the flavor and texture would be slightly different. 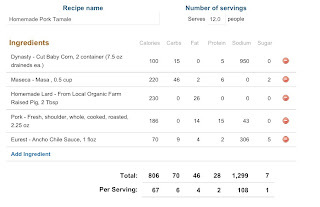 The final nutritional count for each tamale is located below, but at just around 67 total calories and 6 carbs a piece I think everyone can feel good about eating a few of these. 1/2 c. Masa Harina or "Maseca"
Drain corn. 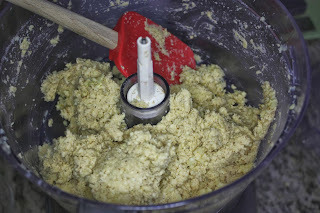 This round I left them whole, next time I think I'll rough chop them to create more volume in the mixer, it was a little difficult to get it all pureed in my processor. 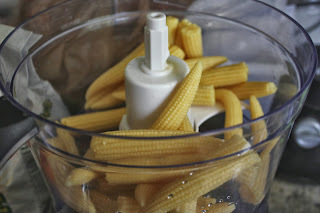 In food processor, process corn until smooth. 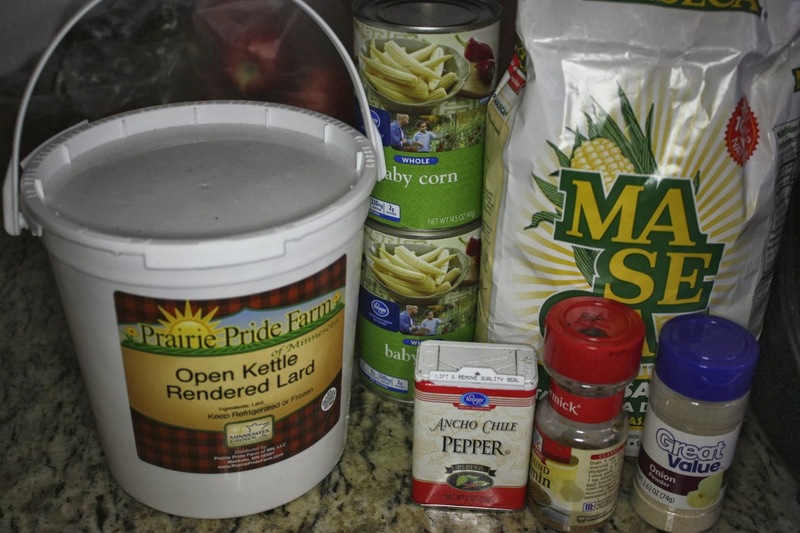 Add melted lard and buzz again. Then scrape corn into a mixing bowl, with a spoon, mix in flour as well as spices. 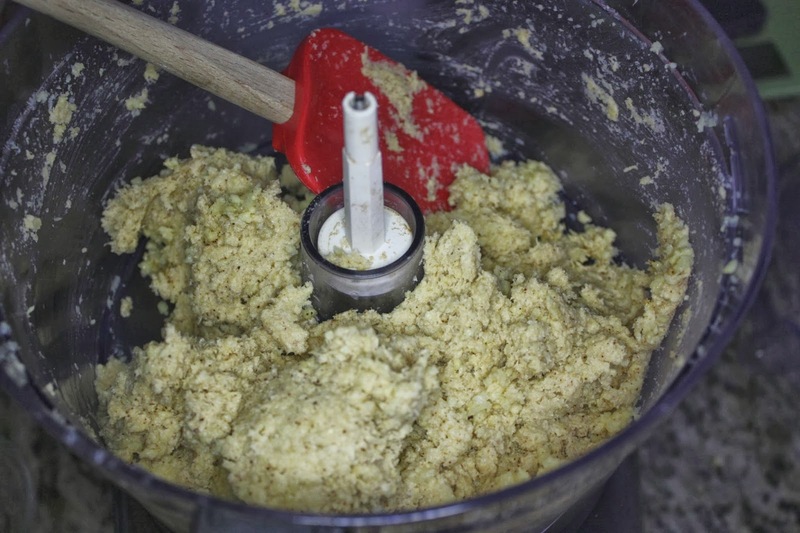 Don't overwork the dough. 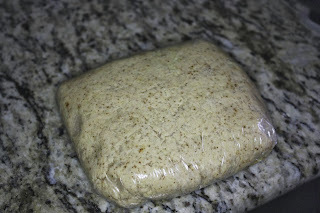 Refrigerate masa until ready for use, wrapped in plastic wrap. 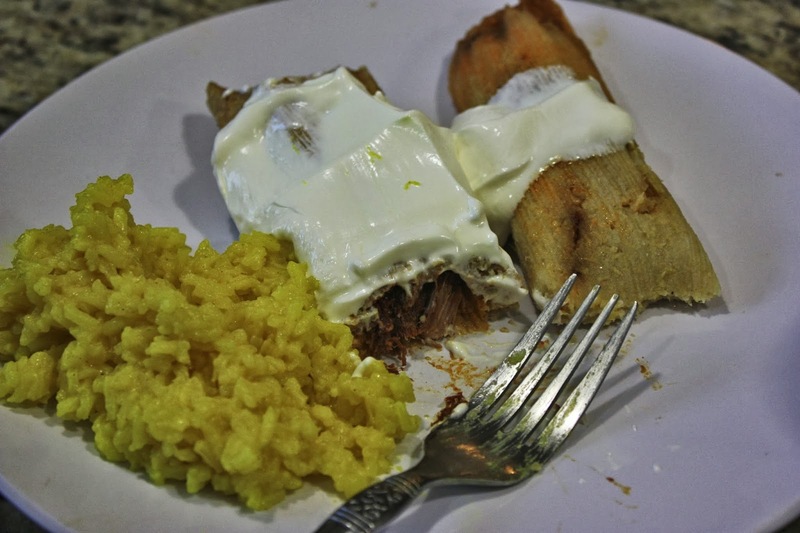 Please see my Pork Green Chile recipe for delicious shredded pork. 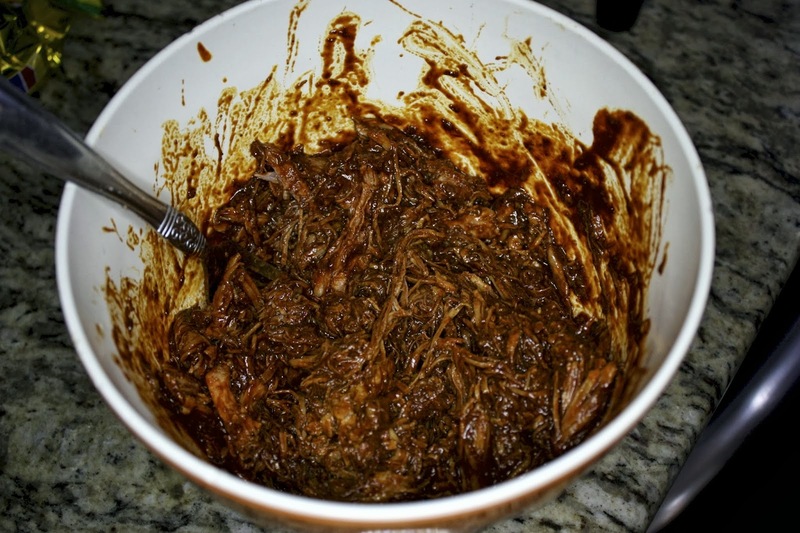 Once the meat is finished it will easily pull apart with a fork. 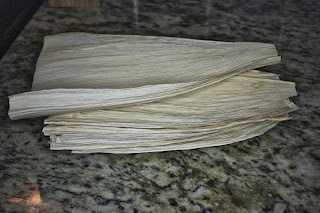 Corn husks are easy to find in the Mexican section of your grocery store, I got mine at Walmart. 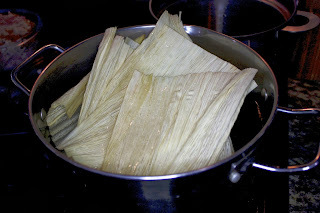 The corn husks are softened in hot water, give them about 30 minutes submerged in hot water to fully soften. 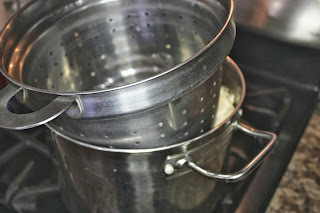 I placed mine in a large stock pot over medium heat and then put my steamer basket over them to weight them down, it worked perfectly. You can make tamales with either Green or Red sauce, I enjoy both immensely, but not having any roasted hatch chilies on hand I decided to go with the ancho chile sauce. 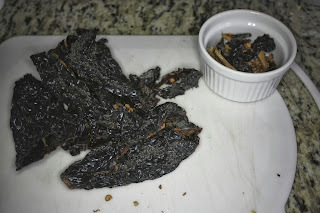 Remove stem and seeds from peppers. 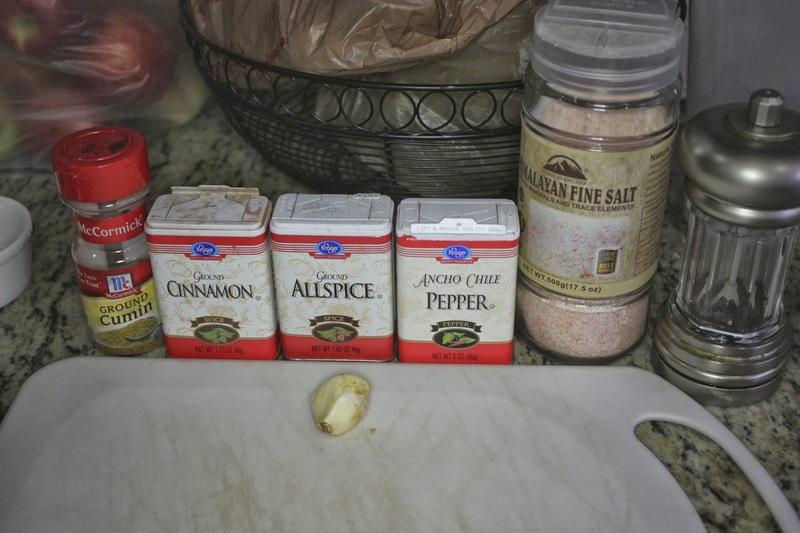 You'll want to reserve some of the seeds to add back in for more heat if its not spicy enough. 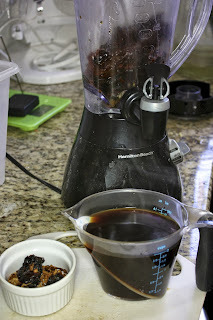 Mine had a nice heat level so I didn't end up using any additional seeds, but I also did completely clean out every seed from the peppers. 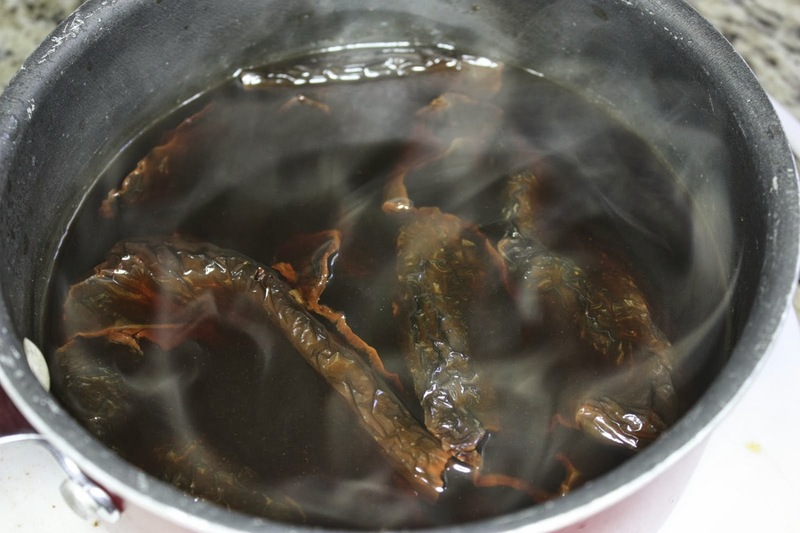 Place peppers in small saucepan and cover with water. Bring to boil and then remove from heat. 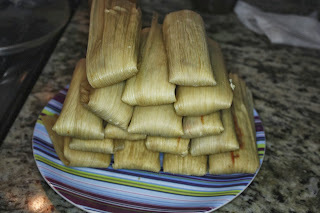 Let sit 15 minutes. 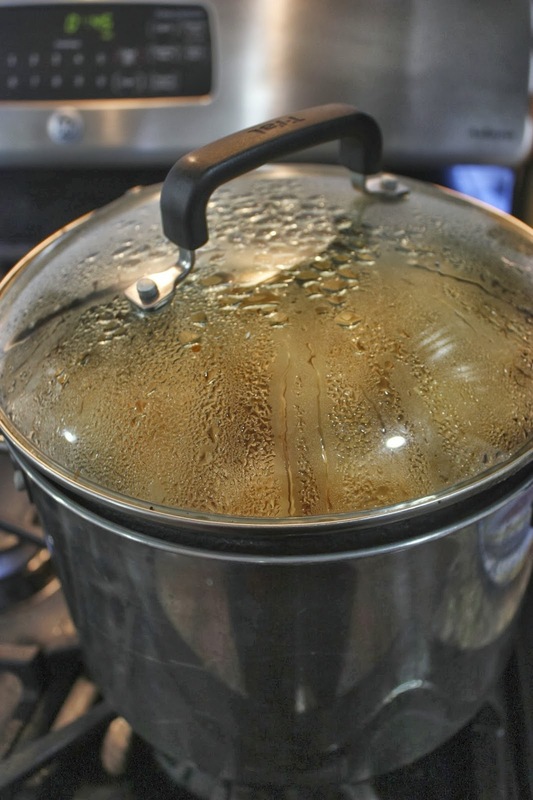 Do not boil for more than a minute or so, it will create a bitter sauce, just barely bring to a boil and then shut off the heat. Add softened peppers, spices and 1 to 2 cups of soaking water to blender and process until smooth. 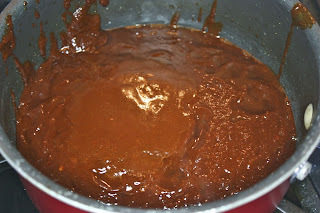 Pour sauce back into saucepan and simmer for 10 minutes. 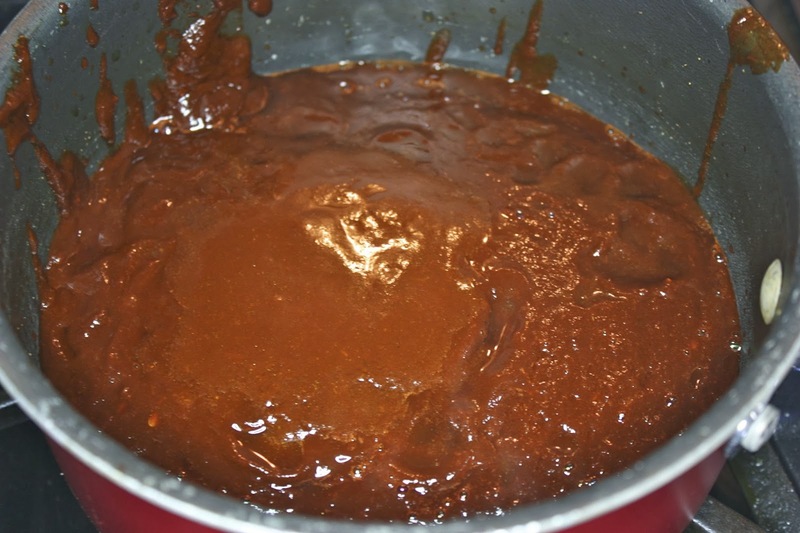 The sauce should be thick but not gloopy, your looking for the consistency of BBQ sauce, if too thick add more of the chile water. Remove from heat and whisk in olive oil. You'll likely have extra sauce, I did, so I placed it in a mason jar for use with other recipes. 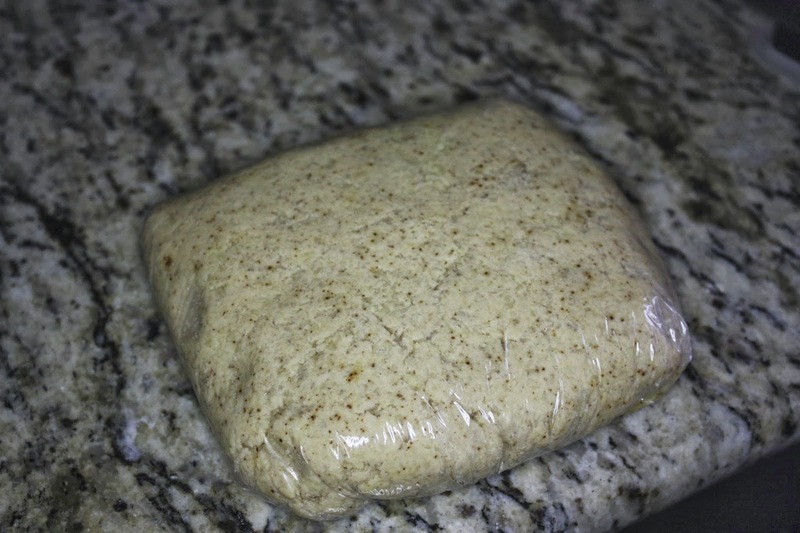 Just keep it in the fridge and it will stay for weeks. 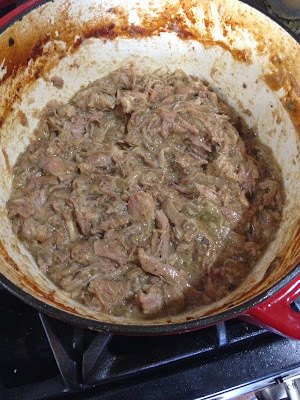 Pour sauce over cooked and shredded pork. 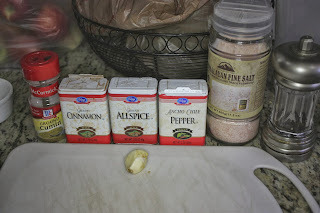 Mix thoroughly. 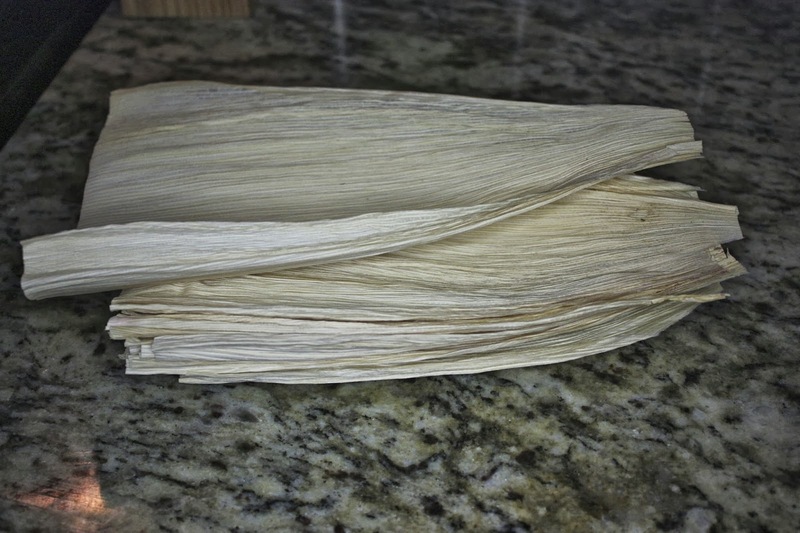 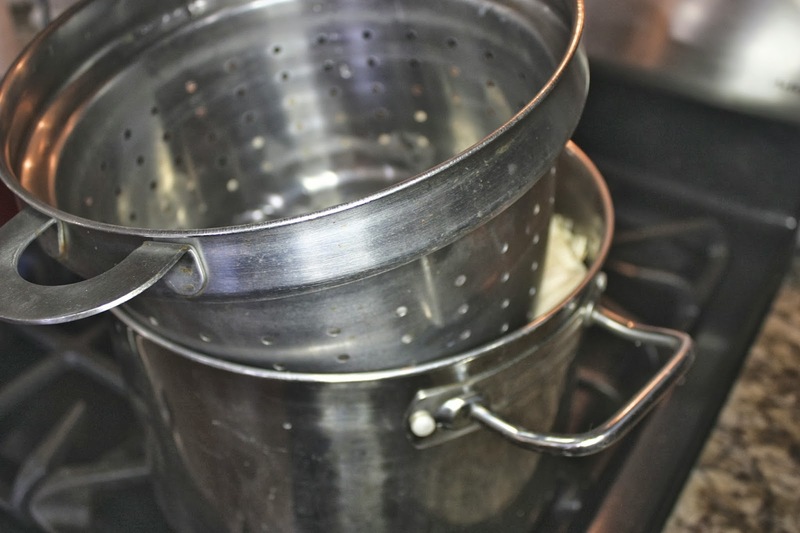 Remove corn husks from water, I placed them in the empty steamer basket with a paper towel on the bottom to collect the water. Spread the masa in the bottom right hand corner of the husk about 2/3 from the edge on the left hand side, and about 2/3 up the length of the husk. Fill with meat, using about a tablespoon or two in the center of the masa dough. 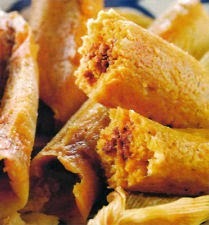 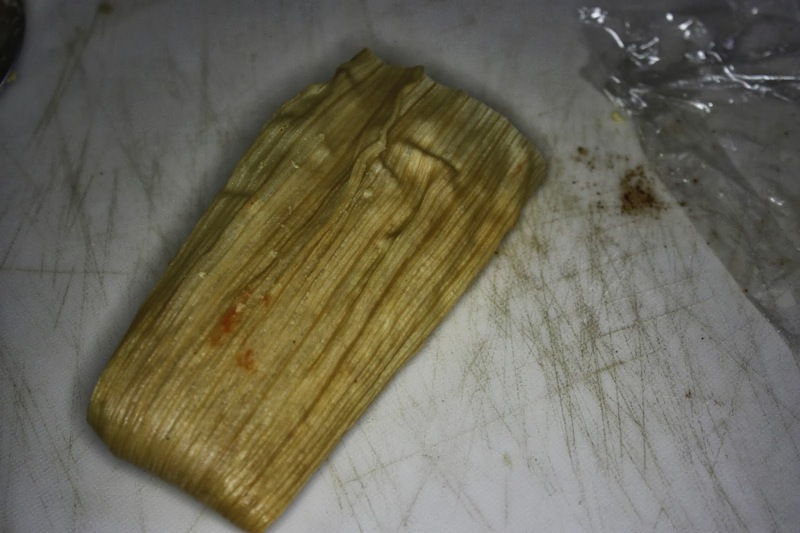 Roll the tamale up on one side and then the other to close the tamale and then wrap the empty end of the husk up under it. 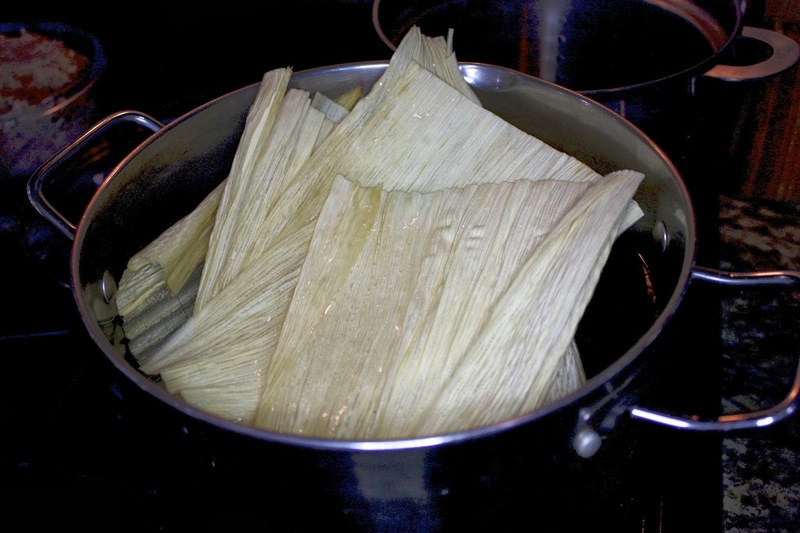 Place in steamer basket end on end packed tightly. 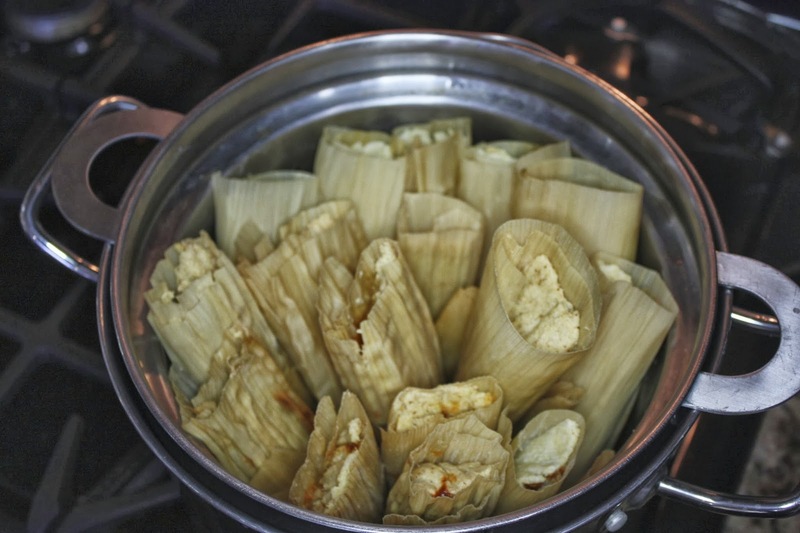 Steam for 45 minutes or pressure cooker for 15 minutes. 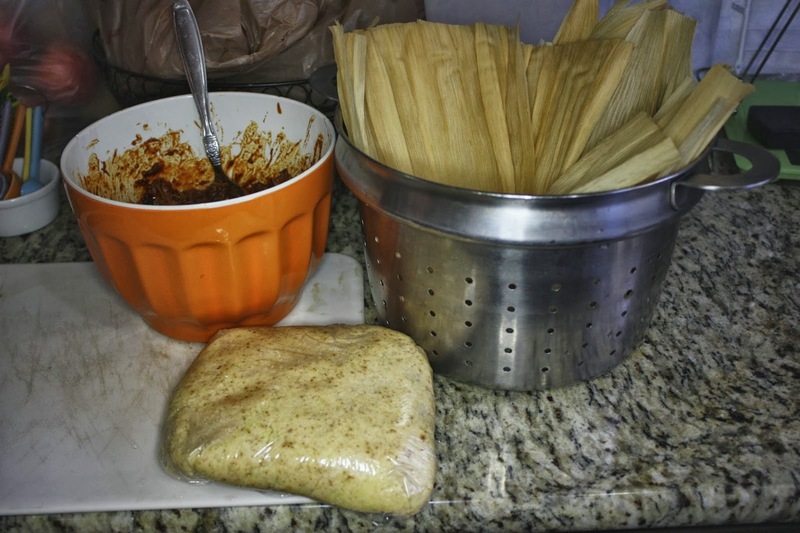 Take out of the steamer and allow them to cool before eating, as the masa dough will set completely as it cools. 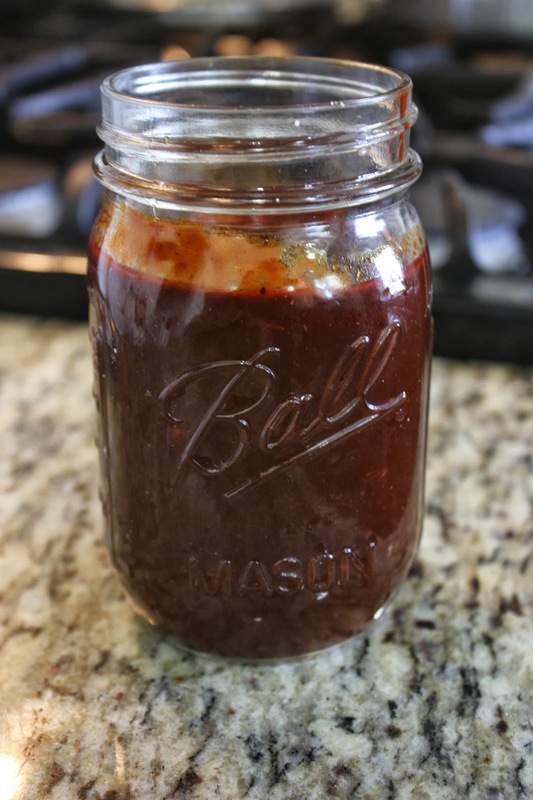 The ancho chile sauce has a sweet, smoky heat to it, the kind of heat the builds in the back of the throat but never reaches the tip of the tongue so its perfect for both heat lovers and those who hate spicy foods.